Originally designed in 1922 by Schwartz & Gross, one of the most prolific, high quality architectural firms of their era, this handsome high-rise is both modern and traditional, merging the best of both periods. The first two stories of the 15-story building are limestone, and the upper stories beige brick, with quoins and bandcourses on the 3rd, 4th, 7th and 10th floors. Attractive sidewalk landscaping sets off 610 West 110th Street’s canopied entrance, leading into a renovated lobby characterized by the numerous elegant pre-war details retained. Lobby highlights include its classically-inspired bas-relief ceiling, hand-crafted entrance doors, and impressive marble floors. The restoring architects paid scrupulous attention throughout to merging the original turn of the century style with the most desirable contemporary features. Residents of this full-service building enjoy a full-time doorman/concierge, live-in superintendent, fitness room, multipurpose room, laundry room, and bike storage room. The appealingly-landscaped outdoor patio is perfect for relaxing with friends and family. 610 West 110th Street is situated between Broadway and Riverside Drive along the stretch of 110th Street known as Cathedral Parkway, named after the historic Cathedral of St. John the Divine, whose construction began in 1892 and, like many great Medieval cathedrals and churches of the world, will continue over many centuries. 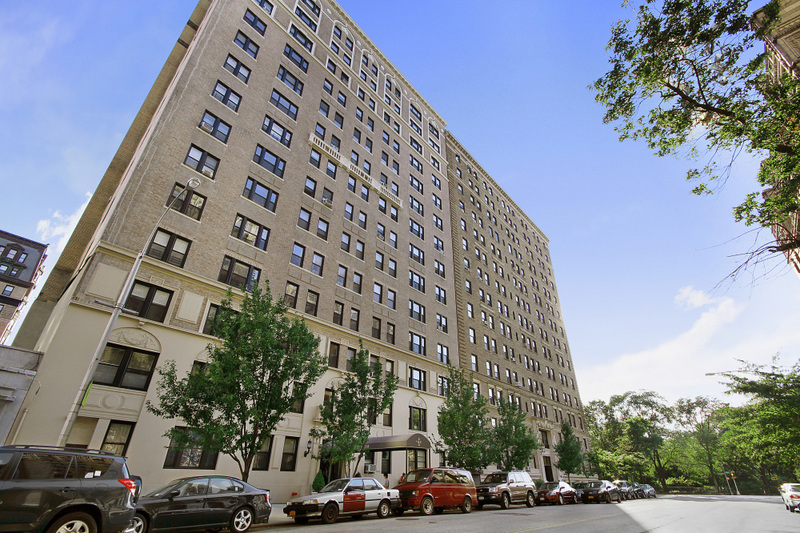 Living less than a block from Riverside Park and a short walk from both Morningside and Central Parks, you’ll have easy access from 610 West 110th Street to all the greenery you could wish for. You’re also steps from shopping, weekly farmer's markets, restaurants, and cafes, some dating back decades. Two notable neighborhood fixtures are the Hungarian Pastry Shop, an old-world bakery and cafe since 1961, and V&T Pizzeria, in its current location since 1951. You’ll be located just a few blocks from the renowned Columbia University, a strong contributing force to the constant revitalization of the neighborhood, and on the 1 train — New York City's first subway line, the IRT Broadway–Seventh Avenue Line, which originally opened on the Upper West Side in the early 1900’s and led to the building boom which included 610 West 110th Street. Famous residents of this building include Tom Wallace, the editorial director of Condé Nast.